Halloween’s a few months away, but I love candy so, you know, it’s on my mind now. 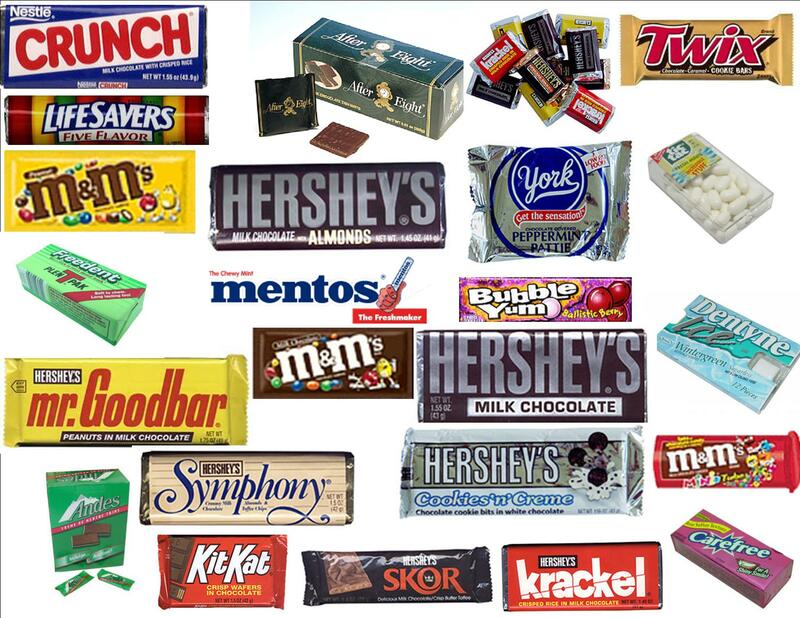 All of the above candies would be super cool to get, even the sugar-free gum! If someone gave me frigging After Eight Thin Mints, I would donate my kidney to them if they had renal failure. HOWEVER, if I got certain candy I would severely doubt the giver’s commitment to Halloween. For example, what kid actually likes a Good & Plenty? More like Bad & Scant. Two deceptive candies are Mounds and Almond Joys. They look so delicious! One of them has nuts! Yum! But they have f—ing coconut in them. What person under 48 likes coconut? Mounds and Almond Joys are the candy bar equivalent of an oatmeal raisin cookie. They look tasty and then you bite into one and cry tears of sadness. Sometimes I DO feel like a nut. But never cocoNUT. This entry was posted in Food Rules! and tagged candy, halloween. Bookmark the permalink.